Technical careers are those that concentrate on training students efficiently to perform practical work, understanding an activity as an integral process. 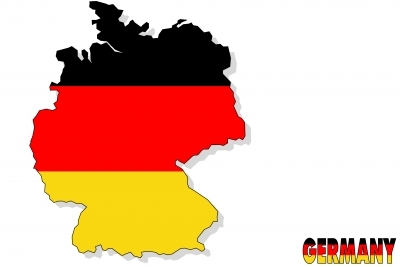 Currently, in Germany, are requiring staff with technical background, in this article you will know a little more about what technical careers lately are needed in Germany. The German labor market requires that applicants have an intermediate level of German, pro-oriented features of a capacity for innovation and creativity. The requirement of technical staff in Germany, according to the latest statistics, is at least one hundred thousand skilled workers and properly qualified. The reason why Germany needs that quantity of specialists is that they are key pieces in the process of industrialization and innovation necessary to compete today in the market. If the productivity of a country is affected, GDP (gross domestic product) is at risk, which would increase the unemployment rate and end up affecting the country’s wealth. For many experts, the fact of not having such specialists is a lack and limitation in the growth of a national economy. The website karrier.de published a study of how it has been evolving the demand for specialists in the entire German national area. Thus, the sector related to Innovation and Development (R & D) show an increase of 31%. Also, demand for careers related to information technology has seen an increase of 25%. In the case of engineers in other sectors, increased labor demands reached 33%. The aforementioned study also published the German cities with higher labor supply deficits. These are: Nuremberg, Leipzig, Dortmund, Bremen, Munich and Stuttgart. Germany is a strong producer of automobiles in the world. In this country there are six major factories, which cover 30% of domestic expenditure on R & D of the German economy. Nowadays the trend of development and innovation of these automakers make them to seek for specialists who may understand and develop eco-friendly engines, hybrid and electric engines. The German Electrical Federation (in German VDE) has statistics for 2011 projected counterproductive information in the supply of these specialists. It was estimated that by then there would be 14 000 to 16 000 vacancies offered for electronic engineers. However, professional workers supply is estimated in 9000 and it would continue to decline in number. Electronics engineers in the German labor market are useful mainly in the specialization of embedded system design, power electronics, measurement and instrumentation. These specialists are required in the operations of new companies, having current expectations of creation of 3000 new businesses. According to the Chamber of Industry and Commerce of Darmstadt, one of the main problems of current German companies is to get qualified specialists. Finally, it is important to know that a criterion always taken into account in the team is the ability to produce efficiently under pressure. This is because Germany is a country whose industry is mainly specialized in the design, development and construction of advanced technology.